I have had owned several Lupine collars and they wear like iron. I can also say the guarantee that comes with them is true. One of my dogs chewed through one and it was replaced no problem. 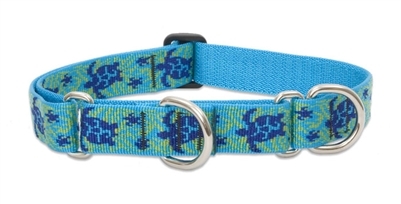 These are soft chokes so your dog cannot pull out of the collar when frightening or stressed. Never leave home without one. They keep your dog safe and are still good for light training. They last thru generations of dogs.